GRIMALDI LINES: Ferry boat "EUROFERRY OLYMPIA"
Grimaldi Lines is one of the biggest italian shipping Companies, and it is the only Italian Company operating on the Italy - Greece line. Departures are on a daily basis from Brindisi to Igoumenitsa and Patras. 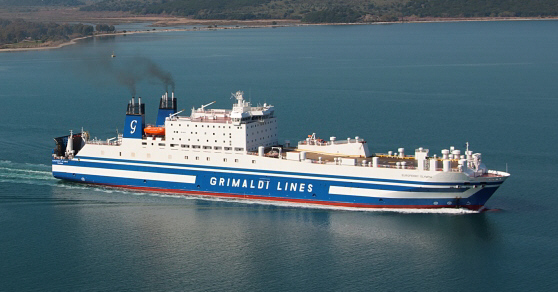 Grimaldi Lines offers a good and cheap service, its ferries are all recently built. The Company also owns Minoan Lines, which operates on the Trieste - Ancona - Igoumenitsa - Patras line. You can book your ticket to Greece with Grimaldi Lines through our on-line reservation system and get the best available price for your voyage. For any further information feel free to contact our reservation department (+39 0836 801578) or send us an e-mail (info@elladeviaggi.it)!